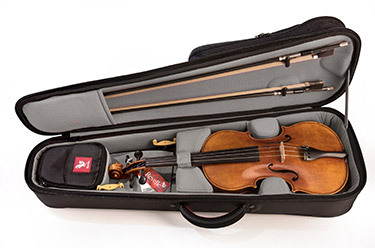 A revolutionary new design in violin cases. Exclusive to Revelle, Crosstech™ technology provides the strength and protection of a traditional hard case and weighs just 5 pounds. The CA1500 boasts premium fittings including a top cowhide leather handle and full rain flap. 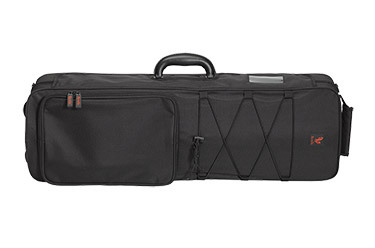 With extra storage and an integrated tablet holder, the CA1500 is the perfect step up case and a pleasure to use for violinists of all levels. 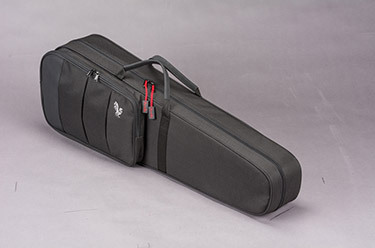 Feather-lite cases offer the carefree convenience of a superlight violin case, with premium features and Revelle’s trademark style. 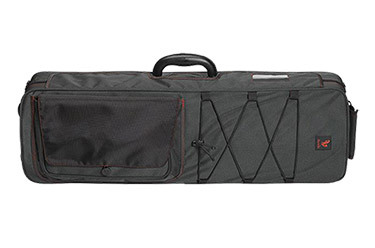 With quality zippers, and straps, these feather-lite cases offer lightweight protection at an affordable price. The CA 1000 is a great option for beginning and advanced students alike. Complete with high-quality fittings, pockets, shoulder, and backpack straps, it is an affordable case that doesn’t sacrifice durability.